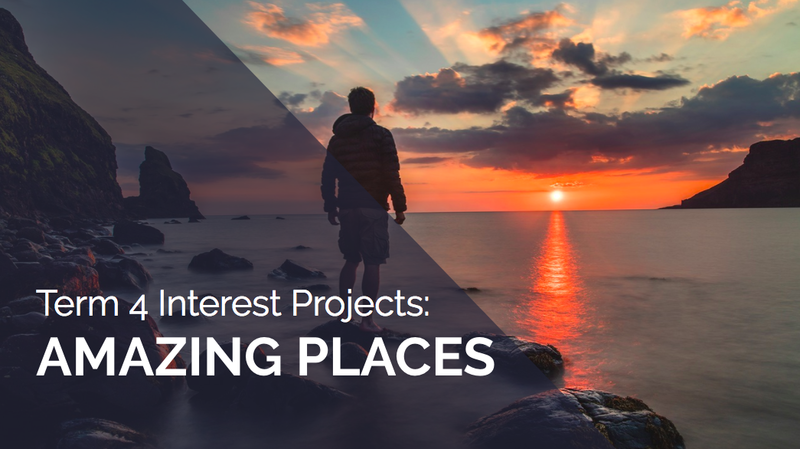 This term’s interest projects will be all about some of the many amazing places in our world. We have each chosen our own place to find out all about. It could be a landmark, a natural wonder, or a town or city that really interests us. We have begun our IP process from there. To have some teacher support in our questioning, we have split into 3 project groups. There are based on what sort of place we have each chosen - landmarks, natural wonders, or towns/cities. Mr K and Mrs Harris met with us and we had some discussions in our groups about the shared driving questions we could agree on, and then we added some of our own driving questions we are curious about. Take a look at this video we shared in assembly on Friday, which features some of us talking about creating our plans. We can't wait to get into our IP workshops and learn all about these amazing places. Remember to keep an eye on our Twitter, personal blogs and class blog for updates.